Grupo Corcione started as such 15 years ago in 1996. In its beginnings it only had a 60m2 office, with six people: 1 civil engineer (Ing. Isolda Pérez), 1 accounting assistant, 1 driver and a small construction crew. Our first real-estate project, Villa Margarita, was a small project of 32 apartment units in Parque Lefevre, that turned into the first success for the company. This is why we later did two more similar projects in the same sector. This was the foundation of our growth. Parallel to this project we started the construction of two neighborhoods: Altos del Naranjal in Pedregal and Villas del Campo in La Chorrera. This provided us experience in the development of horizontal real-estate, while offering construction services such as galleys, hangars, post-tensioned slabs and general civil projects for promoters, architects and local builders. By 1999 we already had 15 coworkers, a new office and several construction crews of competent and able workers. Our first building as developers with architect Alfonso Pinzón Lozano was Atlantis in Cangrejo, with 21 floors. Afterwards we developed the Plaza Pacífica mall in Punta Pacífica. Throughout these last few years we have developed a great amount of projects such as Courtyard View and Ocean Park 1 and 2 in the prestigious neighborhood of Punta Pacífica; Park One in Altos del Golf; Breeze (in construction) and Green Bay 1,2,3,4 located in Costa del Este; Altos del Campo in La Chorrera, San Francisco67 on 67th Streete in San Francisco and in Coco del Mar we have Ocean Sky. Being among the first is a great satisfaction, since the construction business and real-estate development is very competitive and cyclical. This is why we strive to stay strong in the construction of not only houses and apartments, but HOMES AND LIFE STYLES. In 1991, Nicolás Corcione graduates with a Degree in Civil Engineering and in 1992 , obtains a Degree in Construction Project Management at Worcester Polytechnic Institute, in Worcester, Massachusetts, USA. 1996, after six years in the local market, opens his company as Constructora Corcione with the construction of Altos del Bosque. In 1998 the first job as developer with the restyling of four floors of offices in Centro Médico Paitilla. 1999 the first building is built with apartments of 70 mts2 called Villa Margarita. In 2002 the mall in Punta Pacífica is built. 2004 Constructora Corcione becomes developer to the four tower project Green Bay in Costa del Este. 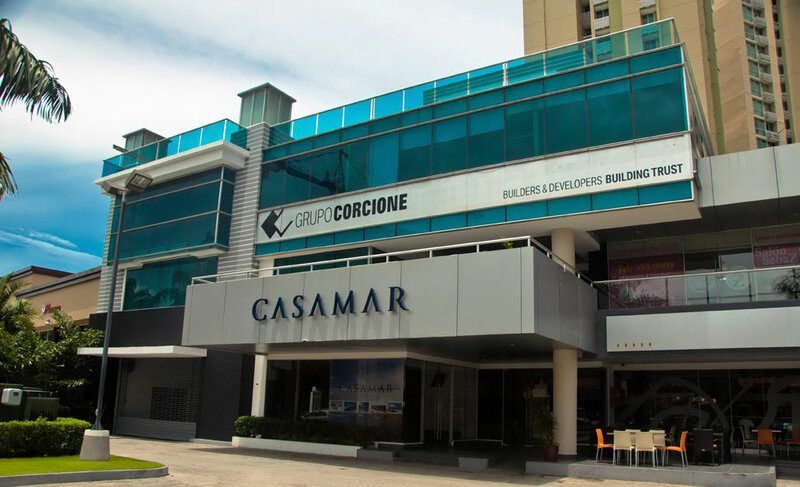 In 2010 the Casa Mar project starts with strategic partners .